A “granny flat right” or a “granny flat interest” is where you pay for the right to live in a specific home for life. It must be a private residence and your principal home. You can have a granny flat interest in any kind of dwelling, not just those typically referred to as a “granny flat” (a separate, self-contained building or living area attached to a home or property). You cannot however, have a granny flat interest in a property in which you have legal ownership (or your partner or a company or trust that you control). transfer assets, including money, in return for a lifelong right to live in a home. The granny flat right only lasts for your lifetime. It’s not part of your estate when you die, so you can’t give it in your will as part of your estate plan. A granny flat right does not have to be in writing however, given that amounts that can be paid for a granny flat right can be significant and they are usually funded by significant events like the sale of a family home, it can be a very good idea to get a lawyer to draw up a legal document so you have proof of what you and the owner have agreed to in relation to the granny flat arrangement. A Granny Flat Agreement can include many things in addition to the amount paid, such as what happens if the property is sold, whether the right can be transferred to another property or when you may get back if you give up your granny flat right, as well as what regular contributions for rent, maintenance or outgoings (insurance, rates, phone etc) may have been agreed. In Centrelink/Department of Human Services terms, a “deprived asset”, also known as “gifting”, is where you give away an asset without getting something of at least equal value in return. The value of a granny flat right is the amount paid, or the value of the assets transferred, in return for a life interest or life estate in a property. Centrelink may apply the “reasonableness test” in determining the amount that should be paid for a granny flat right. This test is based on a formula based on a conversation factor relating to your age next birthday and the couple age pension rate. If the amount paid is equal to or below the value determined by the reasonableness test, then there is no deprivation. However, if the amount you paid for the granny flat right is more than the cost or value of the granny flat right, the excess amount paid is considered to be a “deprived asset”. This could affect the amount of pension you are paid. 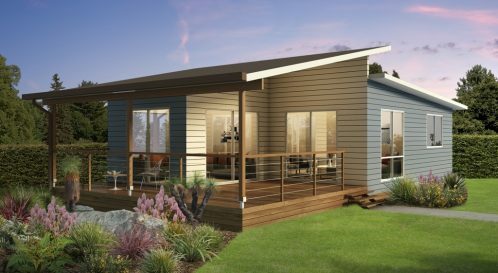 Depending on the value of the granny flat right, you may be considered as a home owner for Centrelink (assets test) assessment purposes, even though you don’t own the home you have the granny flat right in. Fionne McKillop is principal financial planner at McKillop Financial Planning and owns her own law firm McKillop Legal, which is expert in estate planning, business succession and commercial law. This article was prepared by Integrated Planning Systems Pty Limited ABN 21 051 429 184 trading as McKillop Financial Planning, an Authorised Representative of GWM Adviser Services Limited ABN 96 002 071 749 trading as MLC Financial Planning, Australian Financial Services Licensee, 105 – 153 Miller St, North Sydney NSW 2060, a member of the National Australia Bank Group of companies. The information is current as at 01 August 2018. Fionne McKillop is a director of McKillop Legal Pty Ltd and as a result, will receive distributions and/or other benefits from McKillop Legal Pty Ltd. GWM Adviser Services Ltd is not responsible for the advice and services provided by McKillop Legal.